Come out with your fiends for a fun night of dance & socializing while supporting our Breast Cancer Resource Center (BCRC). Light refreshments included. 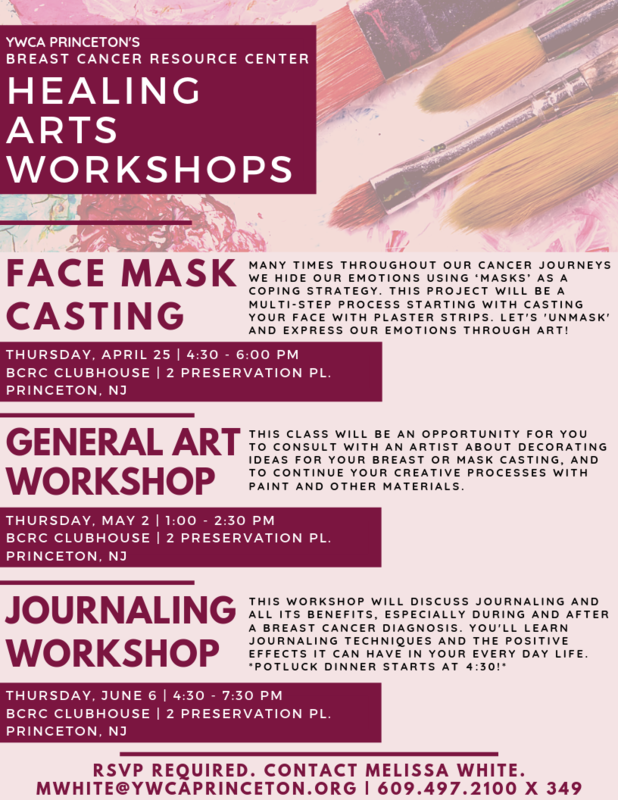 This workshop will be an opportunity for you to consult with artists about decorating your breast or mask casting that were previously done, or to continue your creative processes with paint and other materials. More details can be found below! What we eat and how we prepare our food have a big impact on our health, and can work with our body to remove illness and promote radiant vitality. Each Eat Better, Live Better class will focus on a nutrition topic of specific relevance to breast cancer patients and survivors. Watch as mouth-watering dishes are prepared and the nutritional benefits are explained, then enjoy a delicious meal. No need to bring anything except your curiosity and appetite! Anthony Dissen, MPH, MA, RDN is a health educator and community wellness dietitian focusing on plant-based nutrition and integrative health. He works as an Instructor of Health Sciences at Stockton University and serves as an Integrative Dietitian at CentraState Medical Center. Anthony holds a Masters degree in Holistic Health Studies from Georgian Court University and a Master of Public Health degree from the University of Massachusetts-Amherst. The materials fee for each class is $15. You may register for individual classes or the entire series. Preference will be given to breast cancer patients and survivors, but caregivers may register if space is available. 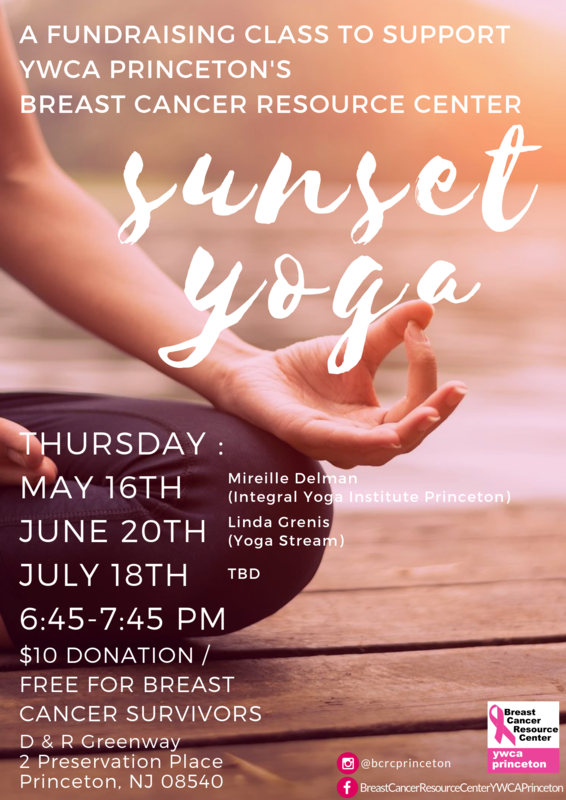 BCRC’s Sunset Yoga series is back! This fundraising yoga class will take place on Thursday May 16th, June 20th, and July 18th. Join us as we are led through a beautiful practice outside on the D&R Greenway as the sun sets. This class is open to everyone so please invite your friends and family! More details can be found below. This workshop will discuss journaling and all its benefits, especially during and after a breast cancer diagnosis. A potluck dinner will begin before the class at 4:30pm! More details can be found below!